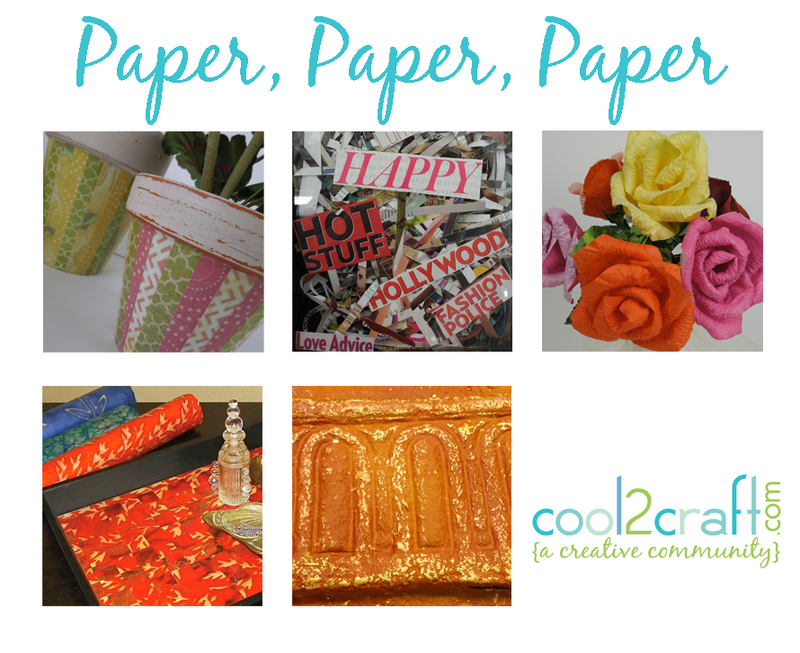 Join us for a new episode of Cool2Craft TV February 18, 2013 - the Cool2Craft team is sharing five new 'crafting with paper' ideas! EcoHeidi is digging into the Momma Aleene archives to create Crunched Tissue Flowers with Aleene's Fast Grab Tacky Spray and Tiffany is sharing Paper Decoupage Clay Pots finished with Aleene's Decoupage Glossy. Airing Monday February 18, 2013 9 am Pacific/10 am Mountain/11 am Central/Noon Eastern.